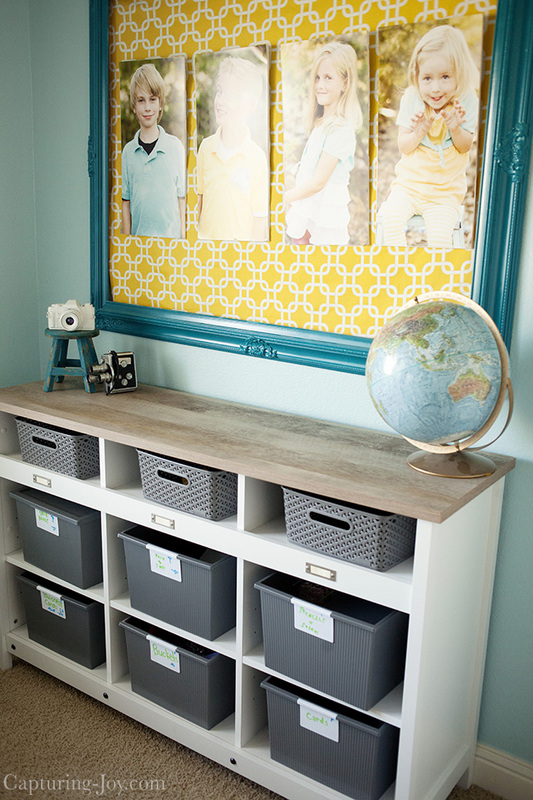 I’ve added something fun to my colorful home office, and and delighted to share my new Storage Credenza from Sauder. I partnered with Sauder along with a handful of other bloggers, to help create a fabulous Look Book with many pieces of their furniture, check it out. 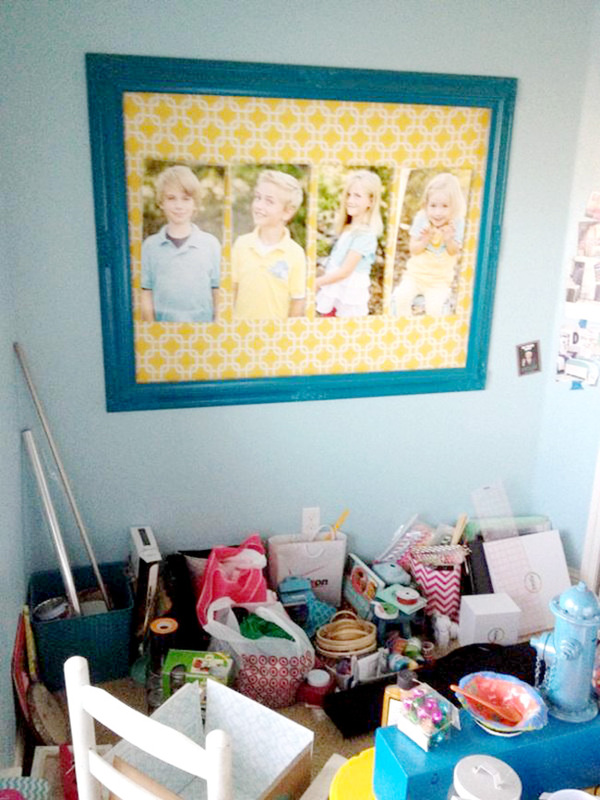 If you remember my repurposed giant frame with my kids pictures inside (you should see the before!) the credenza is just below it. It originally had the tin foil table below it, but I used it for Christmas decorations, and somehow the space filled up with other STUFF! 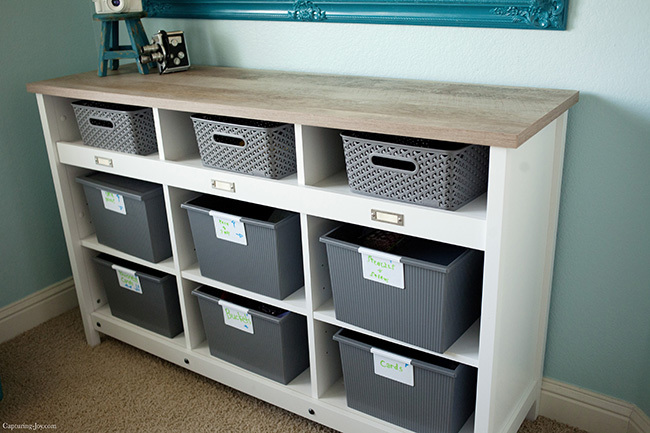 I was VERY happy to have a piece of furniture to help me organize everything. I found the baskets at Target, and they are perfect! Check out all the furniture pieces that Sauder has to offer. They ship right to your home with easy assembly. If you flip through their lookbook, you can also see how different bloggers arranged similar pieces around their homes.